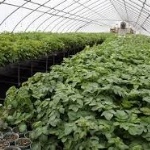 The future of one of Britain’s favorite staples could be at risk as climate change threatens areas for growing potatoes, as well as affecting other fruit and vegetables, scientists from the University of Leeds said. Climate change is making the kind of heatwaves that hurt U.K. crops last year more likely, according to Piers Forster and Kate Sambrook of the university’s Priestley International Centre for Climate. 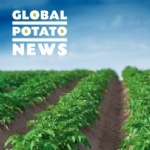 In a press release issued on February 6, the NEPG (North-western European Potato Growers) says that it expects a shortage of seed potatoes for the coming production season, mainly for processing varieties. 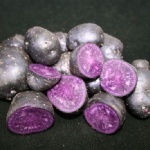 Without a signed contract, it can be very difficult for an individual grower to get seed potatoes. According to Potatoes USA, the value of total store retail potato sales for 2018 increased by 2.1% over 2017, with total value $11.6 billion. The total volume declined 1.9% for the year though, based on IRI figures. 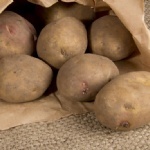 Potatoes USA says the increase in value was paced by refrigerated sales up 5.3% and frozen up 4.1%. 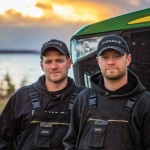 Get an up-close look at the people, planning and processing technologies that help the Keenan family at Rollo Bay Holdings on Canada’s Prince Edward Island send 50 million pounds of potatoes from field to table during a busy harvest. This Video highlights an innovative harvesting system using two unique harvesters dig 15 tonnes of potatoes every five minutes. At the upcoming Ontario Potato Conference, Dr. Jiwan Palta will give a presentation on the Impact of Calcium on Heat and Drought Stress. The organizer of the Confernce, Dr Eugenia Banks says there is lots of interest in this topic not only from Ontarians, but also from other provinces and the US as well. After a two decade decline in volume sales and increasing rivalry from its sweet imported counterpart, it appears things are on the up for the humble spud. 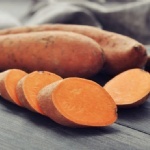 Not only have volume sales of standard fresh potatoes increased by 0.5 per cent over the past year and three per cent over the last four years, volume sales of sweet potatoes fell for the first time last year. 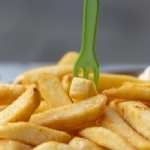 British chips really have been left an inch shorter thanks to 2018’s extreme and unpredictable weather, according to a report on the UK’s fruit and vegetable industry. A prolonged heatwave over the summer was among the hottest on record. Some parts of the country had no rain for as long as 58 days. The dry conditions led to the fourth lowest potato harvest in 60 years, while crops such as carrots and onions also struggled. The weather extremes from last year are still having an impact. Never before has climate change been so clearly felt. At temperatures of around 25°C potatoes react with stress; at higher temperatures the plant stops its growth completely. According to the Deutscher Wetterdienst, there were 55 days of over 27°C during the vegetation period of the potato and even 30 days of more than 30°C. 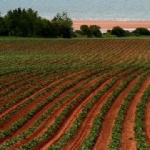 Prince Edward Island french fry manufacturer Cavendish Farms in Canada is reportedly importing a larger than usual amount of potatoes from other parts of Canada and the United States to make up for a local shortfall in supply. 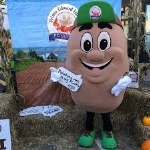 The Irving-owned Cavendish Farms said it has had to import 20 million pounds of potatoes from New Brunswick, Maine and Alberta already this year and expects to bring in another 100 million pounds in the months to come. Michigan is the nation’s largest grower of potatoes for chips — about one in four bags sold in the U.S. is made from Michigan potatoes. Can climate change jeopardize the state’s dominance? Maybe, a new study warns. 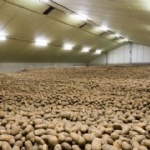 That’s because warming temperatures will require more ventilation and refrigeration — and thus higher energy bills — to store potatoes after harvesting and in the spring and early summer before processors need them to make chips. 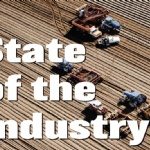 Spudman magazine published an extensive report on the state of the potato industry in the US at this time. Here is a brief summary of some of the issues discussed in the report. Tariffs were a major story for the global economy in 2018 and the potato industry did not escape their effects. China and Mexico — two of the largest importers of U.S. potatoes — levied tariffs on numerous goods, including spuds, in response to the Trump administration’s tariffs. As 2019 kicks off, PNZ continues to work alongside Biosecurity New Zealand in response to the Potato mop-top virus (PMTV) incursion. 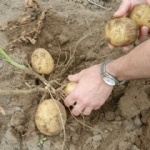 “We continue to gather intelligence, test tubers and carry out soil bait testing. The situation remains much the same as it did at the end of 2018, with positive tests in the Canterbury region so far. For the second year, SNAC International, the international trade association for the snack industry, examined just how many snacks Americans purchased for the Super Bowl. “The Super Bowl is primetime for the entire snack industry. Our members, including snack producers and their suppliers prepare for this monumental snacking holiday months in advance,” said Elizabeth Avery, President & CEO, SNAC International. 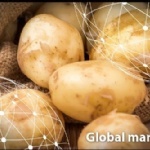 This past Friday, FreshPlaza.com published a comprehensive overview of current developments in the potato market in a number of key potato producing countries around the world. In the report it is said that the heat kept many parts of Europe in its grip last summer. 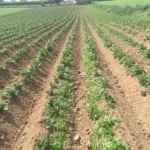 The persistent high summer temperatures had a direct impact on the potato harvest. Lower yields were reported in Northern European countries, but how is the situation now? Meat and dairy are out. Plants and water are in. Those appear to be the biggest takeaways from the newest version of Canada’s Food Guide, which was released last week by Health Minister Ginette Petitpas Taylor. 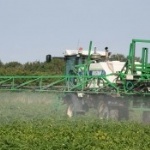 According to a report by the Spanish news publication Agrodigital, there are mounting concern among European growers that the commonly used sprout inhibitor Chlorpropham (CIPC) might be banned. 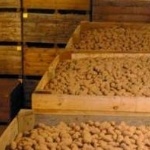 CIPC was approved for use on potatoes in longterm storage during the 2018/19 production season, but there is wide concern that it will not be approved for the next storage season. The United States harvests just over one million acres of potatoes each year. Idaho leads the way, digging more than 300,000 acres, mostly in Eastern Idaho’s Snake River Valley. Russets still dominate, with a global reach. Canada’s fresh shipments both complement and compete with U.S. potatoes. The True North cultivates about 350,000 acres in total, harvests more than 185 varieties and is a significant exporter. According to a report by Capital Press, industry leaders in the US say they hope to open new doors for exporting fresh potatoes to China. “We believe we’re maybe in the final stages of trying to open up the Chinese fresh market,” said Bill Brewer, president and CEO of the Oregon Potato Commission. The IFA says there is a slight lull in the market this week as buyers have restocked post-Christmas, and sales have yet to resume to normal patterns. However, due to lower stock levels any grower who wants to move product has no problem doing so. The annual IFA stock survey is now underway and the organization says it should have some idea on levels in store in the coming weeks. 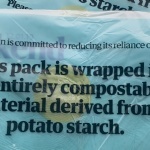 UK national newspaper The Guardian has scrapped its polythene packaging in favour of a compostable wrapping made from potato starch, in a bid to reduce its plastic waste. The publication’s weekend print edition comes with a variety of supplements that have, up until now, been contained in a polythene wrapping to ensure they reach their audience intact. 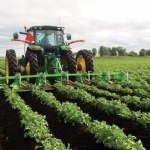 New Northern Plains Potato Growers Association (NPPGA) President Donavon Johnson sat down with Red River Farm Network’s Carah Hart to discuss some of the challenges in the potato industry. 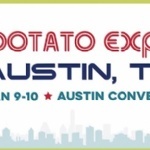 The conversation took place at the Potato Expo in Austin earlier this month. This is an extensive report on the 2018 seed potato situation in the US. 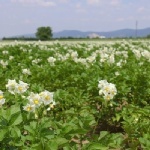 Read reports from seed potato specialists in all seed potato producing states. The report appears in the January 2018 issue of Potato Grower. You can also view the report on this page of Potato Grower magazine’s website. The European Commission has set an EU-wide objective for all packaging to be recyclable or reusable by 2030. But crisp packets are a particular headache for policymakers and the recycling industry because they are so tiny and lightweight. 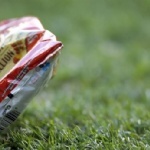 Walkers, Britain’s largest crisp manufacturer, announced in October it was launching a scheme to recycle the 7,000 non-recyclable crisp packets it produces every minute. Angela Santiago co-founded The Little Potato Company Ltd. 21 years ago with her father, who missed the delicious little “Creamer” potatoes of his childhood in the Netherlands. Creamer potatoes are bred to be small but packed full of nutrition and big buttery flavor, offering convenience and versatility for today’s busy, sophisticated food lovers. Great Britain’s grower-held potato stocks at the end of November 2018 stood at 2.97 million tonnes – the lowest during this point in the season since 2016/17. 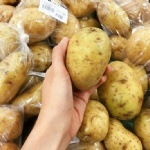 Releasing its latest batch of industry statistics, the Agriculture and Horticulture Development Board estimated that ‘drawdown’, the rate at which potatoes are removed from store, is lower than recent years at 39%, three percentage points below the five-year average. Scientists are trying to revolutionise potatoes and, in the process, cure the tubers’ depression, the result of generations of inbreeding. Potato depression is obviously nothing like human depression, of course. 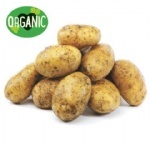 Potatoes reproduce through cloning, so their genome is laden with mutations. 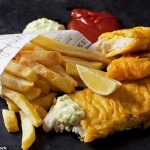 Those mutations could result in things such as stunted growth or shorter lifespans. 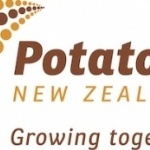 An international expert on powdery scab will visit the Republic of South Africa at the southern tip of the African continent from 12 – 22 February this year to consult with the handful of commercial potato farmers in that country. Professor Falloon is a principal scientist at the Plant and Food Research Institute in New Zealand and he is also Adjunct Professor of Plant Pathology at the Bio-Protection Research Centre at Lincoln University in New Zealand. Dear folks: The first issue of the new print magazine Global Potato News was published in November 2018 with great success, and we are now preparing to publish the second issue of the magazine in early February. I am the Editor-in-Chief of the magazine, and if you, your company or your organization might wish to contribute content to be published in the magazine, please feel free to get in touch with me asap? Giving impetus to its efforts towards helping potato farmers dealing with the current financial crunch in the potato industry, the Punjab Agricultural University (PAU) is organising a training programme on potato processing techniques from January 29 to 31 this year. 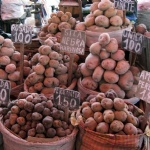 This is to teach farmers how to develop several value-added products from potatoes. 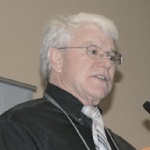 Bob Larson, reporter, AgInfo, hosts interviews at the #PotatoExpo2019 this past week (Jan 9 – 10) in Austin, Texas with Mark De Beaufort of the organization “Imagine A World Without Potatoes“. Also Dustin Gargas and Aaron Shultz with Ceres Imaging. Go here to watch the video with De Beaufort. More videos and photos from Potato Expo 2019 can be found on Facebook – go here to access it. A three-year research project at an East Anglian farm has shown growers a myriad of small improvements which could spark a “quantum leap” in potato production – and taught some broader lessons about communication and knowledge-sharing. 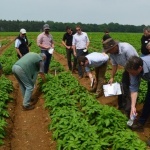 More than 100 farmers, agronomists and suppliers gathered at Rowley Mile Racecourse in Newmarket to hear the results of trials undertaken at the Elveden Estate, near Thetford, as part of the Strategic Potato (SPot) Farm East initiative. 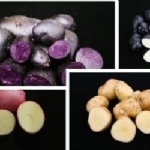 Scientists at The James Hutton Institute have unlocked the genetics of potato skin and flesh colour paving the way for new colourful varieties. A new study identified a genetic molecule that regulates the production of anthocyanin, a natural pigment which influences skin and flesh colour. Researchers also discovered previously unknown inhibitors of anthocyanin. 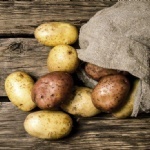 Blackleg is a costly disease in potatoes caused by several pectolytic bacteria that have the ability to infect and break down plant tissue, leading to storage losses and crop rejections. Symptoms in the field range from mild wilting of plants in the heat of the day to more severe internal necrosis of stems and the distinctive blackening of the stem base that gives the disease its name. Tuber infection can occur via ingress from the stolon or through tuber lenticels, causing soft rots. A dry, rainless desert is a nightmare for most farmers, but adequate light and heat that come with it is a blessing for potato growers. And Zhu Hexiang sees it. Zhu is an official at the commerce department of Xinjiang Uygur Autonomous Region. A year ago, she was tasked with assisting poverty alleviation work in a village under Yopurga County, some 1,500 km away from the regional capital of Urumqi. 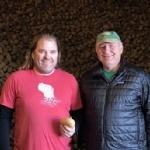 In the December issue of the Badger Common’Tater magazine out of Wisconsin in the US, an article is featured in which specialists Paul Bethke and Troy Fishler tackle the matter of frost-damaged potatoes. No one wants to see another harvest like 2018, but perhaps there is value in reviewing the causes and consequences of frost damage and discussing strategies for managing frost-damaged potatoes before we put 2018 to rest and begin making plans for 2019. Given increased global regulation, there has been a search for alternatives to CIPC. 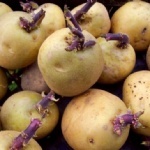 One such alternative sprout inhibitor is the biologically derived molecule 1,4-Dimethylnaphthalene (DMN), which is naturally found within potatoes. 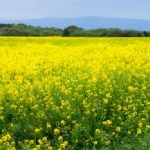 The chemical has been used for several years and is the active ingredient of commercially available sprout inhibitors including those from Meridian, Idaho-based 1,4 Group. Further to recent advancements and developments in Tong’s wide range of potato and vegetable washing, grading and handling equipment, which have most recently seen the launch of a new, compact Fieldloader machine, the FieldLoad PRO, Tong is set to meet growers and packers to discuss the latest innovations and advanced handling systems for 2019. 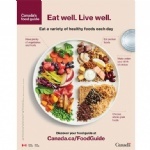 An overhaul of the Canada Food Guide is set to be released soon, a highly anticipated makeover that will do away with the rainbow visual many Canadians associate with the dietary guide commonly used in hospitals and daycares. One of the major changes expected in the new Food Guide is a focus on plant-based sources of proteins. 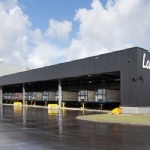 Lamb Weston Holdings, Inc. yesterday announced its fiscal second quarter 2019 results and updated its full year outlook. “We delivered another quarter of strong sales, earnings and cash flow growth,” said Tom Werner, President and CEO. “We’re executing well across the organization and continue to expect the operating environment in North America to remain generally favorable for the remainder of fiscal 2019. 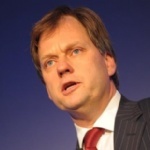 Former Brakes UK and Grampian Food Group chief executive Ton Christiaanse has been appointed interim CEO of potato processor Aviko. Christiaanse, who stood down as Brakes UK CEO in October 2017, takes over at Dutch-owned foodservice specialist Aviko from Piet Hein Merckens, who stood down at the end of last year. 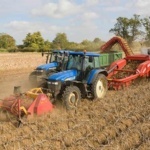 Potato yields in the UK appear to be faltering. While AHDB figures show the 2018 potato crop averaged 41.7t/ha, NIAB CUF head David Firman points to the huge variation between crops, with some yielding above 80t/ha. Looking around the world, Washington state in the USA is a standout performer, with an average above 70t/ha. And triple-digit yields have already been seen in the UK. Weeds are a grower’s enemy, so tackling them head on early in the season can make a world of difference later. 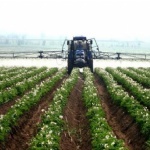 Because there are a limited number of post-emergence broadleaf herbicides available for use in potatoes, using herbicides before the crop emerges is the best approach to ensure adequate protection of growers’ fields from aggressive nightshade and other broadleaf weeds. 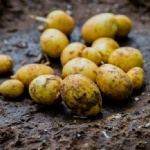 Applications are invited for a Postdoctoral Researcher with skills in plant genomics and molecular biology to join the Laboratory of Prof. Jonathan Jones at the Sainsbury Laboratory (TSL) with the goal of cloning two blight resistance genes from Solanum americanum,a wild potato relative. The project is a collaboration with Paul Birch and Ingo Hein at JHI, Dundee, with the Kamoun lab at TSL and with the Vleeshouwers lab in Wageningen. 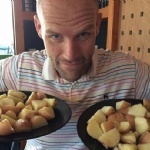 The humble potato is a staple food for many cultures across the globe. But it may just be an important food for the future of space exploration. A recent experiment has taken place in the Peruvian capital, Lima. 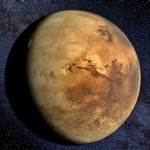 The experiment saw a potato plant growing in conditions similar to what you might find on the surface of Mars.